It is a good thing and undeniably a very generous act to dispose your old computer units by donating them to less fortunate communities in California or anywhere else in the world. However, you should worry first about wiping your data out in those units before letting anyone have an access to your files. 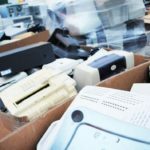 You can call the help of professionals like All Green Electronics Recycling, which can offer the San Diego IT Asset Disposition service. With our Data Destruction, too, our team is all committed and dedicated individuals who know what quality service they will offer to every client who call us for help. Our data destruction procedures are, indeed, trustworthy. Before you will replace your old IT assets with new and those updated ones, be sure that data destruction procedures from All Green are applied. Why would you risk when it can cost you so much of losing your business and career just because you were able to give your units to wrong hands? Disposing your units hastily can be extremely risky. 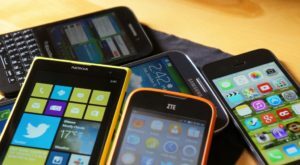 The new owners of your old electronic devices may find some data in your files that can be used against your business or your own personal reputation. It will surely be a total disaster on your part. To avoid such stressful circumstance, get help from San Diego Electronics Recycling service first. Ascent Realty has teamed up with All Green Electronics Recycling to host this electronics recycling collection event. Both members of the community and businesses can take the opportunity to clean out their garage or store room and donate their unused electronics to a good cause.